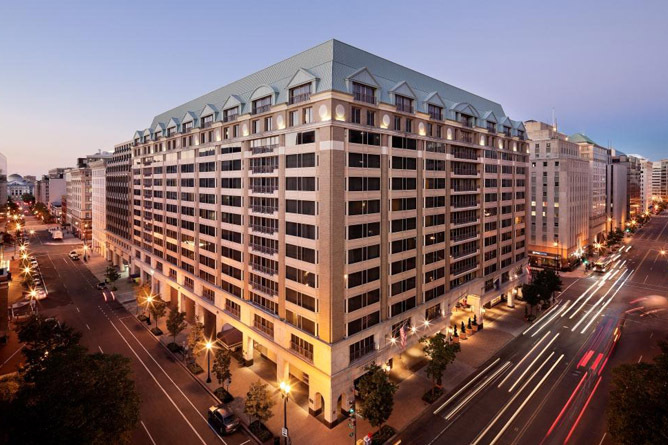 Experience Spring in Washington DC! Instead of slowing down, the pace of food labeling changes has accelerated over the past year. Industry, consumers and regulators all seem super-charged to change the status quo. From a new Bioengineering (GMO) labeling rule to boundary-pushing innovations contesting traditional jurisdictions, to a nearing deadline for Nutrition Label Reform, the industry is challenged as never before. At the same time, consumer scrutiny of undefined claims is at its height, with new class action lawsuits being filed over an increasing number of claim types. That is why the 2019 Food Label Conference has dedicated itself to both strategic thinking and distilling down some rational common sense - in its general sessions, breakouts and seminars. Come hear from government regulators, lawyers and industry experts as they attempt to make sense of this turbulent time. Learn about the latest trends and best practices, and network with your peers across the food industry supply chain. You can't afford to miss this two-day conference as it brings together everything you need to know about food labeling! I can’t recommend coming to this conference enough - whether you’re early in your career, mid-career, or late career, because there’s always something new to learn . . . USDA employees and Prime Label employees can get back to you, and that’s fantastic. Prime Label is the one source of truth, so I think it’s really important to attend a conference like PLC’s. It’s not only informative [for] the annual updates, ... the value add that information provides, and the solice you get from speaking directly with the USDA or FDA, ... but it’s really the comradery and the relationships you establish with all the other people that have like questions ... you gain the understanding that everyone is suffering from the same uncertainty and you know that you can actually reach out to not only FSIS but your fellow friends that have the same issues. I am really excited to be here and to be able to geek out on regulatory. This conference provides General Sessions with expertise from both Regulators and the Food Industry. In addition, individually tailored small sessions on various issues are explored in detail. The conference has always been a valuable tool for training staff and for interactions with other industry members. This conference is excellent for networking ...[and] keeping up on the administrative rulings that are coming out, as well as final rules and proposed rules. I decided to attend the Prime Label Conference this year for the first time because ... I really wanted to get an insight in how companies are thinking through some of the trending regulatory issues facing the food industry today. It is giving me some ideas about how I am going to work with my clients going forward. This session features the latest from FDA's Nutrition Program Staff. They will cover new Nutrition Label Reform challenges and guidances, health and nutrient content claims (including the process to petition for new claims), dietary fiber news, and more. For the first time in the US, industry will need to disclose food's bioengineered BE status (containing BE ingredients) on packages. This session will cover the specifics of the new rule, the options for disclosing this information and the deadline the industry must meet for compliance with this new law. Over the past year, the USDA has been busy proposing and evolving guidance on GMO, animal production claims and generic label approval. This session will provide an update regarding USDA’s new and pending policies, enforcement priorities and government intent regarding new and proposed rules. A hallmark of the conference since 1989, USDA staff labeling experts will respond to the audience’s food and nutrition labeling questions, and clarify labeling gray areas and unwritten rules. Walk through what the USDA is thinking and how policy makers make the decisions they do. This year the food industry is challenged to balance regulatory and marketplace demands in an increasingly litigious environment. This session will give a legal perspective and risk assessment of new regulations, food standard controversies, marketplace trends and technologies, and assess the initiatives of the new administration, two years in. This year we have 5 tracks to help guide your conference and training experience. Sign up for one of our professional tracks and enjoy 4 days of stimulating content at a substantial discount! If you are new to Regulatory, choose between FDA or USDA tracks. Dietitians and nutrition specialists will find our Nutrition track appropriate, while Product Marketing managers and Graphics Design professionals will want to sign up for the Marketing track. Our final track - for Experts - is designed to be a la carte for maximum customization. 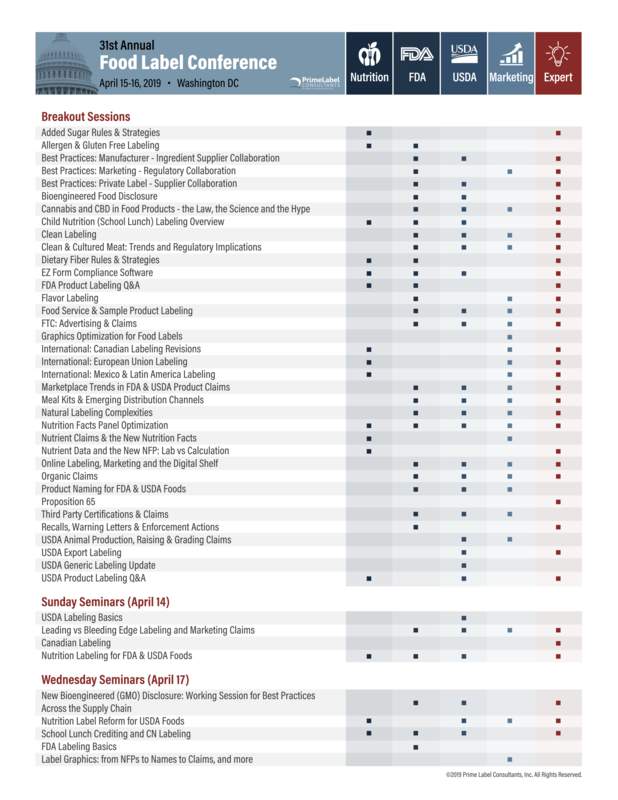 Reference our downloadable Track Guide below to help determine your Breakout and Add-on Seminar selections. Attendees can also sign up for all 4 days, which will save a significant $400 off the regular price. ** Tentative list of breakouts (speakers TBD) - typically we have over 30 of these small group, interactive sessions. The definition of Added Sugar has been vastly debated since the publication of FDA’s final rule for nutrition labeling. Since then, the agency has continued to release additional guidance to facilitate implementation of the rules. This session will use examples and case studies to explain the FDA’s definition of Added Sugars, propose best practices for troubleshooting data collection, and highlight strategies for optimizing nutrition facts panel sugar declarations. Most everyone is familiar with the Big 8 food allergens and labeling requirements, but there are some new food allergies emerging and there are concerns about use of advisory statements on foods. Learn about these and the differences between US and other countries’ requirements for allergen labeling and learn what things to be cognizant of when developing accurate allergen labeling on foods. Growth in rapid development and marketing of new product claims has added strain to the ingredient sourcing and regulatory workflow. Building effective and efficient communication paths is necessary to managing this critical coordination. This session will focus on the best practices for relationship management between manufacturer and ingredient supplier and highlight data-driven dependencies and record keeping strategies. Turn conflict into creative compliance and position products in the best light. This session is intended to explore best practices for marketing and regulatory teams to fulfill a shared goal – to ensure that products are in compliance while keeping them competitive in the marketplace. With rapid growth in Private Label, Brand Owners as well as Manufacturers face a unique challenge to collaboratively revise all labels in a short time frame. Explore best practices for coordination and conflict resolution across the supply chain. An important follow-up to the USDA General Session overview of the new Bioengineered Food Disclosure requirements, this session will provide a legal perspective on the new regulation. An attorney will focus on the impact of this rule on industry, as well as risk considerations and implementation concerns. Cannabidiol (CBD) is the newest food craze. Find out why CBD-infused products could hold both promise and peril, what we know about the science behind the hype, and what remains to be seen. Learn about the confusing legal and regulatory framework surrounding CBD, and the rules of the road about adding it to food products. Discover the ins and outs of Child Nutrition labeling from the administrators themselves. Explore how CN labeling works and its advantages. Learn about the Agricultural Marketing Service (AMS) quality control program and the CN label application process. Find out where to obtain information and discuss some frequently asked questions. Clean meat is meat that is grown in laboratories from animal cells and is born out of a desire to find environmentally friendly alternatives to animal husbandry. It is still in development, but start-ups working on it say it could be coming within the year. This session will explore the consumer drivers, technologies and regulatory impact of cell-based agriculture. There is no regulatory definition for clean labeling. But the truth is, consumer demand for easy-to-understand ingredient statements and trustworthy labels isn't going anywhere. 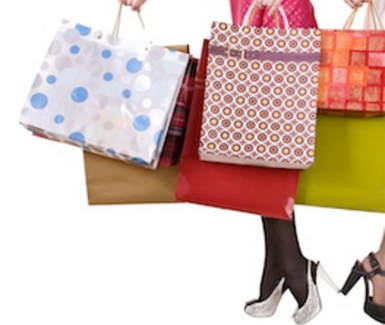 When it comes to meeting what consumers want, it is a lot easier said than done. This session will cover the technical realities associated with the concept of a “clean” label from an R&D and Regulatory perspective. Dietary Fiber is one of the most complex aspects of labeling products with the new nutrition facts panel. While most commonly used fibers now meet the definition, manufacturers must still consider the impact on their product formulas, compliance timelines and marketing claims and how to deal with non-digestible carbohydrates that have not been approved. This session will address the intricacies of the revised Dietary Fiber Definition and how to translate this into labeling. Discover how this powerful regulatory software can streamline your labeling process by providing required forms, labels and Nutrition Facts Panels, updated for the new rule. Learn how EZ Form's smart checks and record keeping can save you time and increase your compliance. Get access to EZ Form's programmer to answer your advanced questions, and learn tips and tricks for optimizing this powerful label compliance tool. Find out the answers to those nagging questions about your FDA labels. From product naming to claims and allergens, bring your specific questions to be answered by a PLC Consultant. Flavor labeling tops the charts as one of the most common complicated aspects of product labeling. This session will cover flavor descriptors and the laws governing labeling and specific situations including food allergens, flavoring agents, ingredient classifications, flavor categories, organic, kosher and halal. What are the differences between Food Service and retail? If your company sends samples to customers or trade shows - what are the USDA labeling requirements and FDA best practices? Dive into the different rules for exterior and interior product labeling, best practices for claims and the labeling of experimental products. Learn about the FTC rules on advertising and how they apply to your food package artwork and claims. Find out what the FTC's enforcement priorities are and learn the subtleties of online marketing and social media. With available real-estate on the food label at a premium due to proliferation of new claims and regulatory requirements, fitting all of the features onto a package is a huge challenge. This session will cover best-practices for feature placement and fit, and how to troubleshoot graphics when issues arise. Bring your graphic design questions to the Q&A in this session. Understand new Canadian nutrition and ingredient labeling regulations and learn how they differ from labeling in the US, including the new Nutrition Facts Table format, ingredient list changes, and allergen declarations. Discuss the subtleties of formulating products for Canada and some of the special issues that apply. Understand what resources are available to you to ensure your Canadian labels are compliant. Understand European Union nutrition and ingredient labeling regulations and learn how they differ from labeling in the US, including Nutrition Facts, ingredient lists, and allergen declarations. Discuss the subtleties of formulating products for the EU and some of the special issues that apply. Understand what resources are available to you to ensure your EU labels are compliant. Understand nutrition and ingredient labeling regulations in Mexico and Latin America and learn how they differ from labeling in the US, including the Nutrition Facts, ingredient lists, and allergen declarations. Discuss the subtleties of formulating products for these markets and some of the special issues that apply. Understand what resources are available to you to ensure your labels for Mexico and Latin America are compliant. Learn about the latest innovations in FDA and USDA product labeling trends. Discuss the consumer drivers behind these trends and how the food industry is responding. Delve into the subtleties of the newest food claims and explore alternatives to satisfy market demand. Meal kits, direct-to-consumer, and online marketplaces are increasingly popular. Without a clear definition or agency jurisdiction, industry has been left to fill in the gaps while regulators have been playing catch-up.This breakout will discuss recent regulatory guidance on meal kit labeling requirements, the retail store exemption and the interaction of USDA, FDA, state and local regulations on these products. Understand the ins and outs of Natural labeling. Explore the differences between FDA and USDA definitions of “Natural”. Discuss the impact on retail, restaurants and customer perception, and explore the pros and cons of this contentious claim. Nutrition Label Reform has upended two decades of NFP/packaged product optimization and revealed new labeling challenges with serving size changes and the new mandatory dual column requirement. Food companies are back at the drawing board to synchronize their nutrition labeling with their target markets. This case study driven session will illustrate how nutrition takes center stage when implementing the new rules and opportunities to mitigate negative impact. Understand the FDA and USDA requirements for this well-defined set of claims and how the new NFP rule will impact them. Dive into expressed versus implied claims, such as Lean, Low Fat, Sodium, and Omega claims, amongst others. Explore relative claims and Front of Package nutrient claims and the subtleties of their different requirements. Explore the integrity of the Nutrition Panel by understanding the differences between calculated and analytical methods of producing nutrient data. Discuss the various sources of nutrient data, different classes of ingredients, and issues of nutrient variability. Understand how the new NFP rule will impact lab analysis and your record-keeping systems. Engaging customers or selling products online through new distribution channels requires careful consideration. What makes a food label compliant on the web, social media, or on mobile - and who is enforcing the regulations? Learn requirements and best practices for e-commerce and managing compliance for digital product assets. Explore the intricacies of Organic, Certified, and Verified claims, including the certification process, documentation, types of claims and the subtleties of this labeling. Come meet the regulatory and packaging teams of Private Label brands and learn critical information about doing business with them. Topics covered may include (but are not limited to) NLR rollout expectations, labeling best practices, regulatory preferences and IT tips and tricks for submitting products. Stay tuned for Private Label brand schedules. Explore USDA and FDA regulations on product naming and standards of identity. Find out the difference between common and usual, descriptive, standard, and fanciful names and what conventions are required for each. Learn about the components of identity statements, including many types of qualifiers. For products sold in the state of California, compliance with the Safe Drinking Water and Toxic Enforcement Act of 1986, or Proposition 65, is essential to mitigate litigation risk. Come and learn the important challenges to the published list of substances, recent changes to the clear and reasonable warnings requirements, and how your food or packaging may be impacted. FDA has multiple initiatives for monitoring manufacturer compliance and communicating violations of FDA regulations. Learn more about key tools available for compliance including blockchain technology, trends in enforcement, best practices for preparing for and responding to recalls and the impact of recalls on brand integrity. With more and more consumers demanding independent validation, third party certification (including gluten free, non-GMO, process verification, and ingredient quality claims) is a growing trend. The session will provide an overview of how third party certification programs work, how to find a provider, and manage the process. Learn which claims can be certified and what common certification criteria looks like. Discuss best practices for a certification audit. Discuss the complexity of Animal Production and Breed Raising claims such as Cage-Free Poultry, Free-Range, No Added Hormones or Antibiotics, Humanely Raised, Certified Angus and others. Find out the latest in USDA grading claims. Discover the latest in USDA export requirements, including the intricacies of labeling, customs documentation, online resources & systems, and the new PHIS export module. 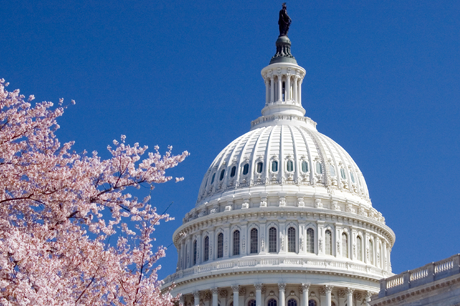 Find out the latest enforcement priorities, requirements and best practices for the expanded generic rule. Explore generic eligibility and compliance, and discuss enforcement subtleties with FSIS. Understand what you need to do to keep thorough records and discuss strategies to reduce risk. Explore the ins and outs of USDA labeling - such as product names and qualifiers; undefined RACC and nutrient claims; negative, uncured, organic and natural claims. Bring your specific questions on the subtleties of labeling to our industry and PLC experts. 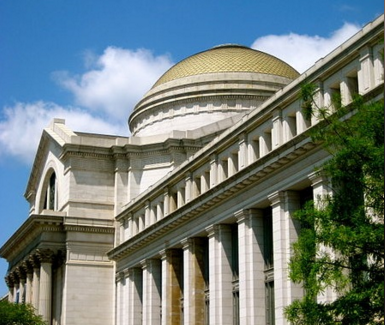 Witness Washington's magnificent monuments and federal buildings at the most dramatic time of day. We'll enjoy the commentary and insights of an experienced guide while riding aboard a luxury motorcoach. A boxed snack and full complement of beverages is included. 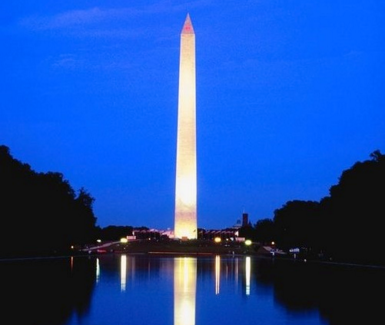 Step off the coach and visit the memorials by night as well as the Kennedy Center. Tickets are limited. Network with conference attendees and the labeling and regulatory teams of PLC's private label retail partners during a complimentary cocktail reception (with open bar and appetizers). Join up into small groups afterwards and continue your conversations over dinner. Sponsored by sgsco. See Tony award-winning show Into the Woods at the historic Ford's Theater, where President Lincoln was famously assassinated. Into the Woods is a musical by Stephen Sondheim and James Lapine. The musical intertwines the plots of several fairy tales, exploring the consequences of the characters' wishes and quests. Options include touring Ford Theater's historic Lincoln museum during performance breaks. Tickets are limited. For those attendees who want even more content, we will be designating some tables at lunch for affinity groups to discuss hot topics such as Clean labeling, Child Nutrition, Sustainability, Canadian labeling, Seafood labeling, etc. Attendees can choose to join one of these tables for networking discussions. Join the conversation with Pilgrim's Pride and ManageArtworks as they describe their journey of selecting and implementing an artwork management system for label approval. This collaborative workflow system engages internal and external users and facilitates rules based regulatory compliance automation. RSVP is required as space is limited. Sponsored by ManageArtworks. * Preliminary list of speakers & moderators - typically we have over 50 professionals from government and industry presenting topics at the Food Label Conference. Savannah Bland, Eddy Packing Company, Inc.
PLC’s Private Label Partnership Program was created to maximize opportunities for Brand Owners to connect face-to-face with Private Label Suppliers at the annual Food Label Conference, the leading event for labeling and compliance professionals. Eight Private Label Partners are hosts of the Monday evening Cocktail Networking Reception, 5:00 pm - 6:30 pm. Conference attendees will be able to network with private label retail partners during a complimentary cocktail reception (with open bar and appetizers). Join up into small groups afterwards and continue your conversations over dinner. In addition, Karen Brennan of Albertsons and Jared Bock of Resers will present a breakout session on Best Practices: Private Label - Supplier Collaboration on Monday April 15 at 4:10 pm and Tuesday April 16 at 2:10 pm. Case studies highlighting impact on product identity of new serving sizes, panel formats, added sugars, etc. The Trump administration has recently changed US school lunch requirements.Come learn about these changes as well as get a primer on complicated, highly specialized Child Nutrition regulations. Learn the what, how and why of CN labeling and Product Formulation Statements in this full day seminar, as well as alternatives to a CN label. This training is relevant for new employees responsible for CN labeling, or for a company just exploring the school lunch market. Reservations: Please click here to register for PLCs' exclusive discount on rooms for the conference. This deal expires March 15th or when the room block is full. Don't miss out on discounted rates! Directions: Conveniently located at Metro Center - on the Red, Orange, Blue & Silver lines. sgsco companies produce cutting-edge design, production, printing and web-enabled technology for many of the top CPG brands, deployed on a world-wide scale.